Rye is a cereal grain, known scientifically as Secale cereale, which looks like wheat but is longer and more slender. Rye's color varies from yellowish brown to grayish green. Rye has a very hearty, deep, nourishing taste. 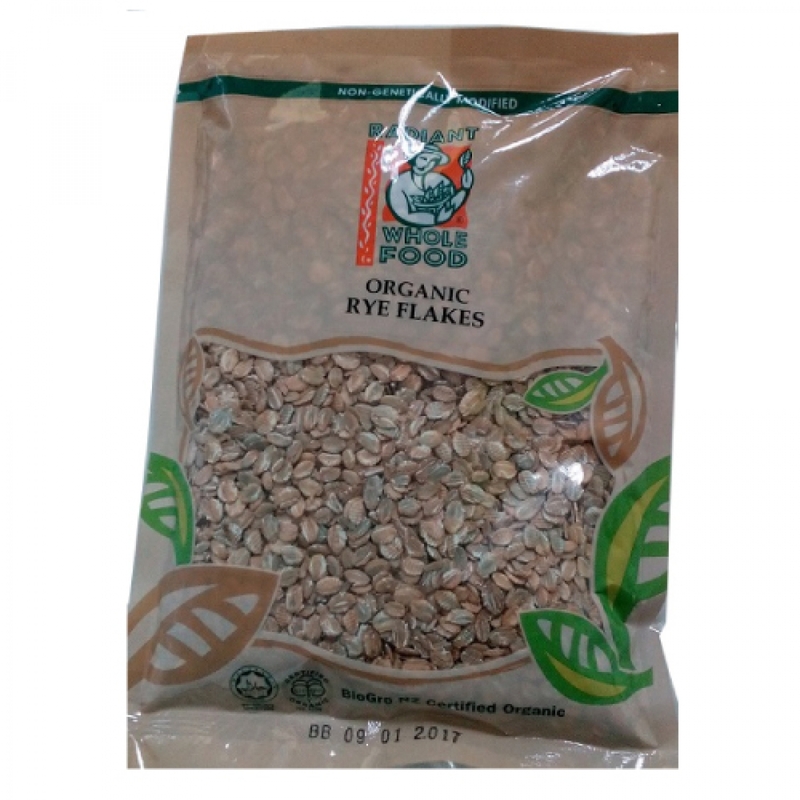 Radiant Organic Rye Flakes are made from whole grain rye that's been gently softened with steam, then rolled into flat flakes. It is a delicious, nutritious and easy to prepare whole grain hot cereal. Add raisins, cranberries, or other dried fruits to the flakes as they are cooking (about the last 3-5 minutes of cooking time). The fruits will plump and help to sweeten the cereal. Sweeten with honey, maple syrup, or your favourite natural sweetener; finish with toasted nuts. Mix with dried fruits, nuts, and seeds for homemade granolas, mueslis, or trail mixes. Add to muffins, cookies, breads, or other baked goods.